Also known as North Maalhosmadulu, Raa Atoll in Maldives has exceptionally good dive sites with high concentration of marine species and soft coral gardens. Raa Atoll has several channels and thilas with wide spectrum of colorful marine species. With numerous diving destinations like Bathalaa Kandu, Veyofushi Bodu Giri, Kakani Thila, Dhonisu Thila, Horubadhoo Thila and many other locations, Raa Atoll is now attracting divers from all around the world. Most of the dive locations in Raa Atoll can be accessed by live-aboards only. Hirundhoo House Reef accessed by live-aboard ship only has several caves beautifully decorated with yellow and orange delicate corals, seafans and black coral bushes. These caves reside vibrant marine life. Milaidhoo House Reef, with an average visibility of 25 meters, subjects to strong current, can only be accessed by live-aboard vessels cruising in the azure water of the Indian Ocean. Raa Atoll has recently developed as one of the dive locations in Maldives. Raa Atoll comprises more than 90 isles. The atoll has a length of 65 km and width of 28 km. Situated in between 5° 58' N and 5° 20' N, Raa Atoll in Maldives has 16 inhabited islands. The capital island of the atoll is Ugoofaaru, reputed for the largest and finest fishing fleet in Maldives. 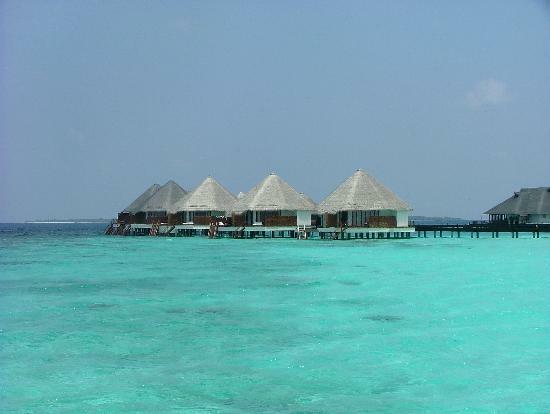 Alifushi to the north of Raa Atoll in Maldives is a boat construction hub of the country.